It's only 954 characters. We strongly recommend writing at least 1.000 characters. Use content that makes your app unique (features description, characteristics, how to use your app, ...). Your description needs to convince people to download your app. Also, be sure to add important and relevant keywords in your description to improve your iTunes app page and optimize your SEO. Your app's last version was released on February 12, 2019. It is important to regularly update your app. Best practices recommend to update your app every 4 to 6 weeks. This means fixing reported bugs, improving existing features, launching new features etc. Keep an eye on users' feedback. The next great features may already be asked by many users. 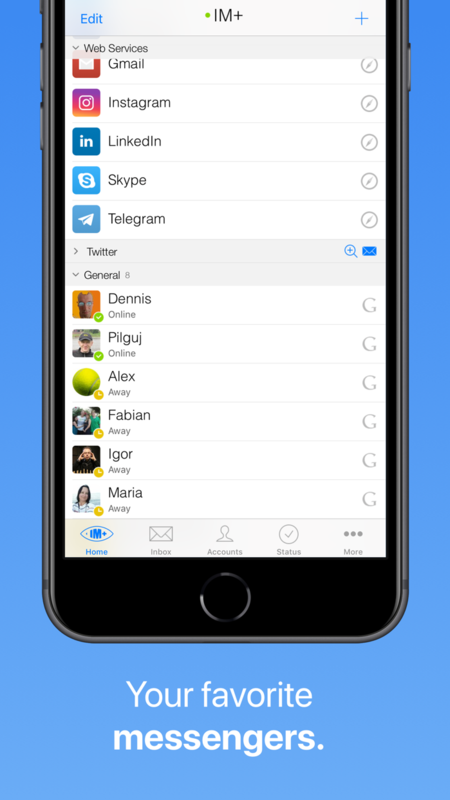 IM+ is an all-in-one app for messaging and social networking. 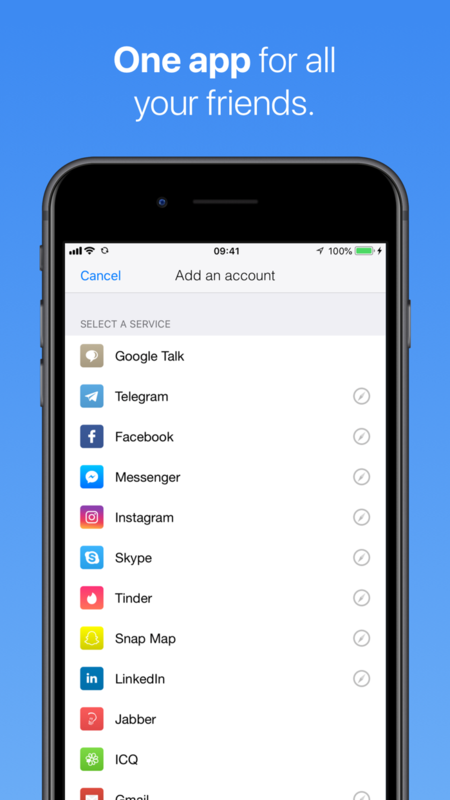 Chat on Telegram, Google Talk and Messenger while checking your Facebook and Twitter feeds and swiping on Tinder. IM+ supports multiple accounts per service and saves you a lot of time and space on your iPhone. 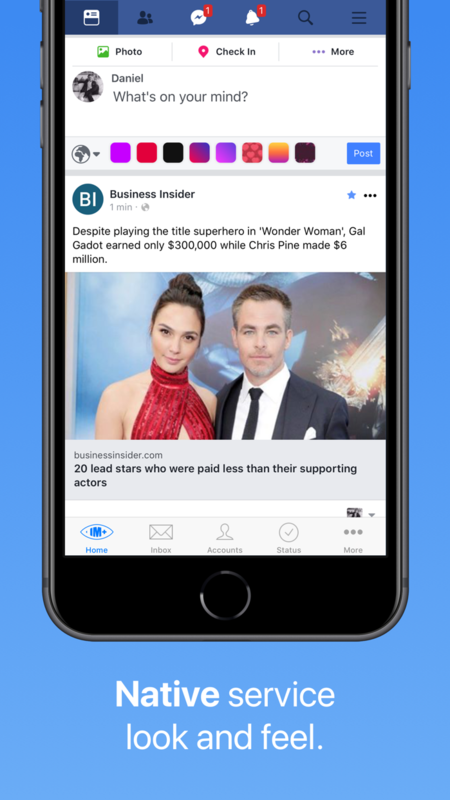 IM+ Pro 10 now enables custom services and ad blocking. - No disturbing push in web services. Check your updates when you want them. Please follow @implus on Twitter and like www.facebook.com/plusim to get the latest updates from your IM+ team!